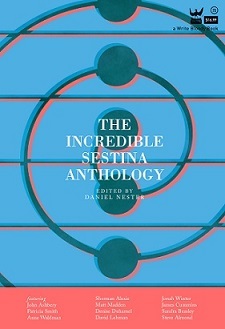 The rest of you should keep your copy (or copies) intact, because there are a lot of incredible Incredible Sestina Readings coming up soon and you may want your book signed. We’ll be in Philly on Wednesday. In February, March and April, we’ll be in New Yawk, Cambridge, Chi-town and Worchestah. Of course, we’ll also be on site for AWP 2014 in Seattle. And by we, I mean Dan and the nearest (local) contributors. In the meantime, I found some great sestinas from all over the internet. As well as something else. See what I mean after the jump. Near, far, wherever you are– or over at Linebreak, here’s “Sestina for Your Dead Heart” by Gregory Sherl. Looking for a nice red wine? How about a Sestina from Avennia? It goes well with meat. This entry was posted in Sestina Watch and tagged Anthony Hecht, AWP, baseball, Cambridge, Chicago, hangover, Incredible Sestina Anthology, New York, Philadelphia, polar vortex, Rochester, Seattle, Sestina, snow, The Hairpin, wine, Worchester. Bookmark the permalink.